The highlights in next week’s American Art auction reveal important pieces by legendary American artists such as Georgia O’Keeffe, Norman Rockwell and Stanton Macdonald-Wright. 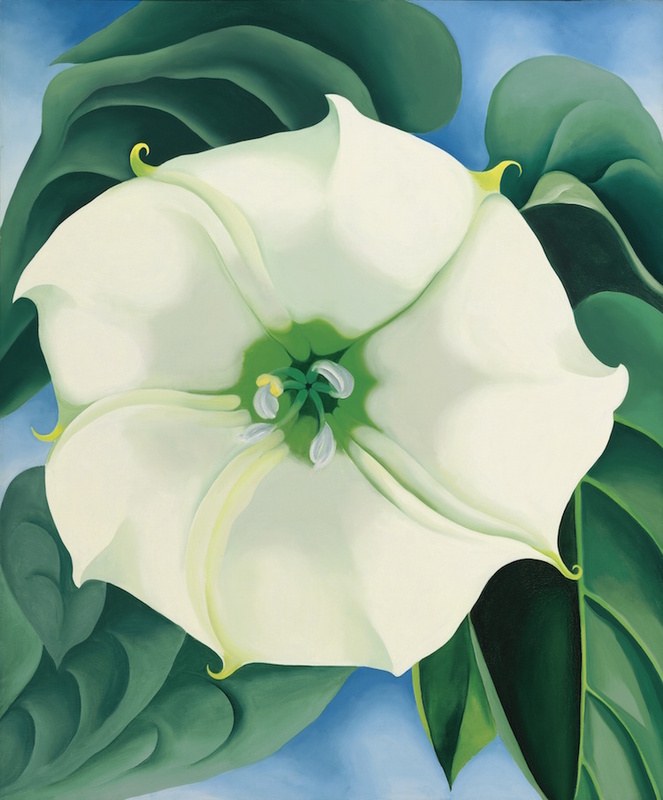 One of the most exciting pieces in the auction is Georgia O'Keeffe's Jimson Weed/White Flower No. 1. The painting is one of the most prominent pieces in the artist's repertoire (currently themost expensive Arts & Prints lot on Barnebys!) O'Keeffe is perhaps most widely known for her flower paintings, this piece was first owned by O'Keeffe's sister Anita and has since then been included in two private collections and the Georgia O'Keeffe museum, who have now put it up for auction. Another American Icon included in the sale is Norman Rockwell, who is represented by seven pieces. 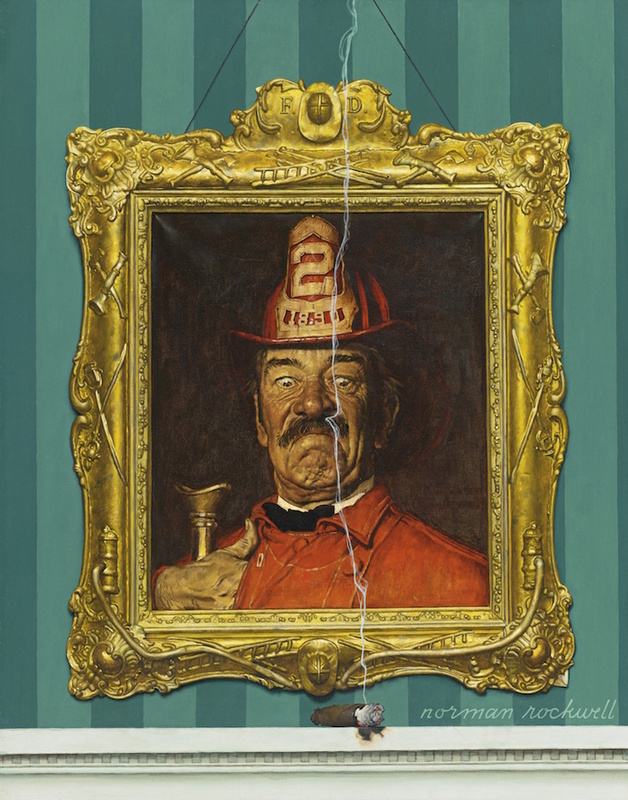 The most notable out of the collection is Fireman, a picture within a picture first published on the cover of The Saturday Evening Post in 1944. This painting is a wonderful example of Rockwell's pieces that were partially based off of photographs. A large painting by Childe Hassam makes its auction debut in Sotheby's sale. The piece, Shingling the First Baptist Church, Gloucester, remained in the artist's personal collection during his lifetime and was returned to his family in 1970 after belonging to several museums and institutions such as the American Academy of Arts and Letters. 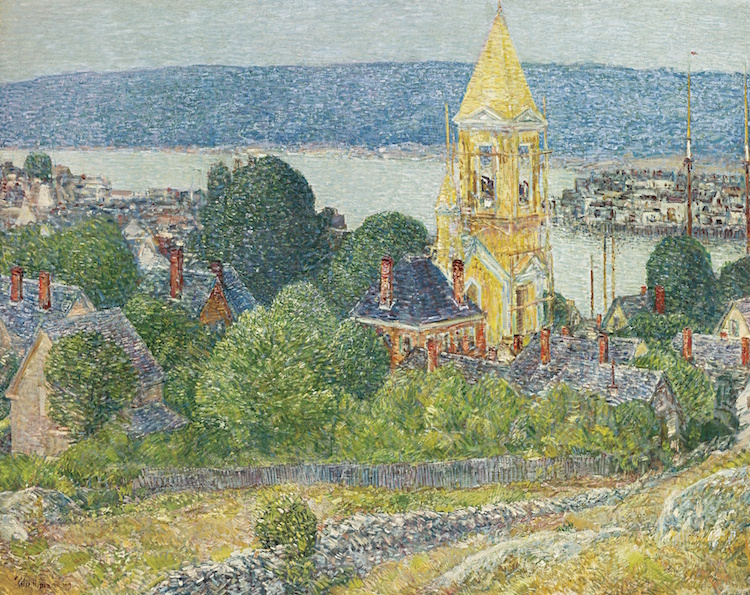 The painting features one of Hassam's most beloved subjects, an idyllic New England coastline. Find all of Sotheby's auctions here!